We wrote yesterday about the detection of mosquitoes carrying Eastern Equine Encephalitis (EEE) in Easton, Raynam, and just last Thursday, 12 July, in Carver, which is just over the Bourne bridge and minutes from Cape Cod. 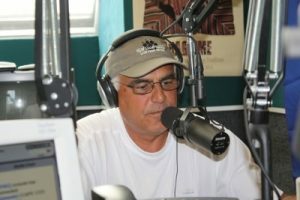 Our owner, Dan Caouette, was alarmed enough by this news to have devoted his recent radio show on 95 WXTK Newsradio to the subject, and passed along some very helpful suggestions in light of the EEE spread. Mosquito control is a vital step that should be taken, and Cape Cod Pest Pros is available for both a FREE INSPECTION and treatment that includes spraying and fogging suspect areas that might tend to foster mosquito breeding. 1. Be Aware Of Peak Mosquito Hours- The hours from dusk to dawn are peak biting times for most mosquitoes. 2. Wear Appropriate Clothing- While it may be uncomfortable in warm weather, but long sleeves, pants, and tall socks can help keep mosquitoes off your skin. 4. Drain Standing Water- Since mosquitoes lay eggs in standing water, limiting collected water in birdbaths, rain gutters and drains can be very helpful. 5. Screens- Be sure to have screens on your windows and doors to keep mosquitoes from getting inside your home. We’ll be adding the audio of Dan’s recent show on the subject of mosquito control on Cape Cod just as soon as we get our hands on a copy. In the meantime, and if you are concerned about your property as a possible breeding site for mosquitoes, call us today and we’ll be right out to inspect. And, remember: our inspections are FREE.